Now, now, now… please don’t let your eyes roll to the back of your head as your super-woman cape blows in the wind and proclaim that “this is outdated and there’s more to being a woman than cooking, cleaning and taking care of some man.” Let me say this: I can understand how as women we wouldn’t want to be reduced to what can be portrayed as just physically maintaining other people as the measure of our value. We have been mistreated for so long that when God comes with a criteria, we are still weary because it may seem to run parallel with the misogynistic views we have been so accustomed to defending ourselves against. However, if we are honest with ourselves, we would admit that it’s not us having those skills that is the problem; it’s us being reduced to tools by men and undervalued as if we are only good for servitude. If we are honest with ourselves, we would admit that all of those skills would absolutely be beneficial to us as individuals and us as a community and society. So as M.G.T., we learn not only recipes and skills, but we learn the science of food and how it can be used as a cure for all of our ills. As M.G.T., we not only learn how to take care of our men physically and emotionally and how to be a help-meet to him, but we learn the Divine purpose of marriage and how women were first the help-meet of the Creator when He created the entire universe. If that’s not empowering, I don’t know what is! I promise I’m not one to brag, but this MGT life is lit!! I thank God for caring about us enough to give us a class that we can go to as a safe haven, a training ground and a party on a Saturday morning where I can learn to be more pleasing to Him. I also thank The Most Honorable Elijah Muhammad for dedicating his life to the cause of Freedom, Justice and Equality that does not exclude the due Justice deserved by black women. 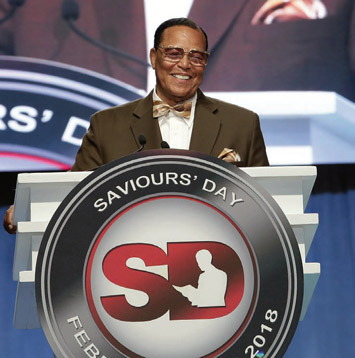 Additionally, I thank The Honorable Minister Louis Farrakhan for proving his love for us in his teaching, training and defense of us on a daily basis. One of the most beautiful things about the religion of Islam is that it offers to all who accept it security, it gives them peace and contentment of mind. Louis, Jr., brought us all together today. I wanted to personally thank all of you for the kind of love that you showed to Louis, Jr., his family, Mother Khadijah Farrakhan and me. You came to strengthen us, and we felt it, and we appreciate it. Thank you. Thank you. Thank you. Knowing my son, he was always a study. And, you could never think that you knew him because he was always giving you something more to think about. He was a deep visionary. He used to speak so far ahead of time. When people can outthink their contemporaries, the contemporary looks at the thinker and thinks that the thinker is a little off. That’s natural for those of us who are not on the level of such focus. From a young child, Louis, Jr., was unique as brother imam Ishmael Muhammad said so beautifully today, he really captured the spirit, the mind, the heart of Louis and he brought Louis up out of the box, front and center into the room. So, I thank Brother Ishmael Muhammad for the wonderful job he did today. When Louis, Jr., was out in Phoenix, they asked, “Lou, when are you coming back to Chicago?” He said, “When the party is over.” That was so profound because he was having a wonderful time in Arizona with the Believing Community, with the people, the family, the friends and at the same time he was having a little difficulty with the heart. But Louis did not wish that we would be concerned about him. Louis, I think, was playing the part that he wanted to play up to the end. It’s a hell of a thing for a man to see the end and he’s making everybody around him happy because he wanted to create joy; and the joy of this day is that some of what he suffered a lot about was the division between the communities of Islam. Today, there was that sign of genuine love across different community lines and especially in the families of Muhammad and Farrakhan that I think would make Louis exceedingly happy that on his passing he accomplished what he wanted for us all. His children were blessed to have a visionary as a father, and there’s a lot that he imparted to his children of his vision for the Nation of Islam. He is not here to fulfill it, but we are. And it should not only be a personal journey for the children that he wanted to do A or B or C, the most important thing to Louis was the vision of the Honorable Elijah Muhammad. I come out tonight just to say thank you and to thank Louis personally for being an intermediary between his father and the people. The Minister does not get out among the people and that’s not the way the Messenger raised me to be out cavorting, so to speak, and so you don’t see much of me except in the mosque. And if we catch a glimpse of each other at a restaurant, which I very seldom get a chance to do, that’s where I feel the love of the people. I did not know so much love was out there in the streets, but Louis helped to create it because of his manner, his method, the beauty of his heart. It touched those who came from near and far to be here to celebrate his life. He was a great representative of what Islam should bring about in family and among us in a real strong, devoted brother. Your being here is a testimony to who Louis really is. I pray that this is not just a wonderful Iftar, and breaking of the fast, and celebrating the Life of Louis. I pray that the beauty of that man will inspire us to continue on the path of Islam. Let this be the first day of a new day for our families, for our Nation. God always uses the sacrifice of somebody’s suffering to bring people who have feelings of bitterness out of their mouths. Louis would not take no for an answer. He went where he wanted to go, met with who he wanted to meet with, laughed and joked with people. So, the party is not over but he did come home. That party ended but the real party is making his vision, which is the vision of the Honorable Elijah Muhammad, real. May Allah bless each and every one of you and I hope you had a beautiful evening. And to Louis’ family, I just wanted to look at you. His son, Mutawakkil, is graduating from high school and will be, God willing, entering college. Every one of Louis’ children is special, not that your children aren’t. Louis had a certain spin that he put on his children through Lesil Farrakhan, the mother of these children. Louis’ name will live not only because of the work that he’s done but because of what he implanted in the hearts and minds of his children and I believe they will fulfill it. Thank you. VIDEO:: It takes staying power to keep your faith. Greetings to you. I am Minister Louis Farrakhan, National Representative of the Honorable Elijah Muhammad, The Eternal Leader of The Nation of Islam, and that Great Preacher of Freedom, Justice and Equality to the Black people of America, the Western Hemisphere, and The Aboriginal People of the Earth. It is written in the Holy Qur’an, in the 5th Chapter, the 67th verse: “O Messenger, deliver that which has been revealed to thee from thy Lord. And if thou do it not, thou hast not delivered his message. And Allah will protect thee from men. Surely Allah guides not the disbelieving people.” To “deliver” a message like the one that we are delivering demands The Protection of God for The Messenger and The Message. For 44 long years, the Honorable Elijah Muhammad preached this Message of “Salvation” and “Warning.” No matter what consequences he faced, no matter what threats came against his life, no matter who opposed what he said, he kept, before the world, The Message that Master Fard Muhammad, The Great Mahdi, gave him to give to us, to America, and the world. I did not know that he was preparing me to “sit in his seat” after his Departure, that I might continue his Work. Elijah Muhammad had that “mountain,” that “uphill road” to climb for 40 long years; going to prison … Not because he was a “wicked” man, but because America did not want him preaching The Word that he was given while America was prosecuting a war with Japan. And after 40 years of suffering, 40 years of rejection, 40 years of being misunderstood, and mislabeled by The Wicked as a “hate teacher”; as “a man that Black people,” and White people as well, “should not listen to”—at that “40th year” he Departed from us. But, he had already said to me: “Brother, you may sit as ‘The Father over The House’ in my absence,” and he would send people to me from time to time, telling me, “Remember, brother, Aaron had a hard job when Moses left. …” And so when he left, I did start having a “hard time”—and it continues to this very moment. But as my Spiritual Father, Elijah Muhammad, was faithful in delivering that Message without fear of The Enemy’s evil plans against him, I, too, am delivering that Message. So regardless to how “hard” The Truth may be, it is not my intentions to hurt your feelings, or to preach “gloom” to you that would become “frightened”—unless it frightens you into making The Change that will cause you not to continue to suffer the loss that you are now suffering, which is going to increase. I have “heard The Word” from His Mouth, and I am giving Warning to you! I am trying my best to save your life because The Terrible God that was to come is present, and the things that He’s prophesied, and given Jesus The Warning to give to you of “The Signs of The End”: God is making fulfillment of His Promise! So by my warning you, even at the cost of my life: If you don’t do it—if you don’t change, if you don’t get away from your wicked way, God says you will “die in your iniquity.” But if I warn you, and you still persist in wickedness, your blood is not on my hand. And to all of you “spiritual teachers,” you “religious scientists”: Stop preaching “gospel” that does not include “The Judgment of the world” which we are now facing! What kind of “spiritual leaders” are we if we won’t warn the people? 1) Fear not, for I have redeemed you—ransomed you by paying a price instead of leaving you captives; I have called you by your name, you are Mine. 2) When you pass through the waters I will be with you, and through the rivers they shall not overwhelm you; when you walk through the fire you shall not be burned or scorched, nor shall the flame kindle upon you. 3) For I am the Lord your God, the Holy One of Israel, your Savior; I give Egypt [to the Babylonians] for your ransom, Ethiopia and Seba [a province of Ethiopia] in exchange for your release. 4) Because you are precious in My sight, and honored, and I love you, I give men in return for you and peoples in exchange for your life. 7) Even every one who is called by My name, whom I have created for My glory, whom I have formed, whom I have made. 8) Bring forth the blind people who have eyes, and the deaf who have ears. 10) You are My witnesses, says the Lord, and My servant whom I have chosen, that you may know Me, believe Me and remain steadfast to Me, and understand that I am He. Before Me there was no God formed, neither shall there be after Me. 11) I, even I, am the Lord, and beside Me there is no Savior. 12) I have declared the future, and have saved the nation [in times of danger], and I have shown that I am God, when there was no strange and alien god among you; therefore you are My witnesses, says the Lord, that I am God. 13) Yes, from the time of the first existence of day and from this day forth I am He, and there is no one who can deliver out of My hand. I will work and who can hinder or reverse it? Again, in verses 16 and 17, He says, that He will defeat our enemies. The above is from the “Amplified” Bible and the following verse, number 18 is from the “New International” Bible, in which He states that we are to, “Forget the former things; do not dwell on the past.” Moreover, in verse 19 He strongly states, in effect, that He is doing a new thing, among us, with us and through us. Verse 21 is so beautiful as God states we are a people—who were obviously nothing—whom He has formed for Himself that we might show forth His praises. 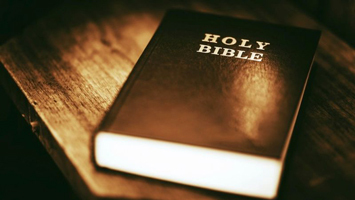 But look at verse 25 where He states “I, even I, am He Who blots and cancels your transgression for My own sake, and I will not remember your sins.” This is all very beautiful and touching indeed. Again, in the New Testament, the followers, and the people of the son of God, or the Christ, are referred to as his bride and at a certain time a “wedding” takes place between the Christ and his followers under the symbol of a bridegroom and a bride. (Matthew 25:1, 5, 6 and 10; John 3:29; Revelation 9:1; 18:23; 21:2; 22:17.) Doesn’t all of this sound like the making of a family to you? We learned from the Honorable Elijah Muhammad that for 66 trillion years the secret wisdom of God was handed down gen­eration after generation among just a few families. Now, in these last days, the Honorable Elijah Muhammad revealed to us that this previously concealed wisdom—the greatest of all—is now being given to us, a sleeping nation, and through we, who were a dead nation, to the world. The people who have been absolutely at the bottom, unwanted by all, except God, are be­ing raised to the top through the releasing of the utmost of truths. During one of the dinner settings of the Most Honorable Elijah Muhammad in the 1970’s, he shared with a few of his followers a series of dreams in which he was stepping off of one revolving sphere onto another revolving sphere where the setting was all too surreal or of another world. He described seeing different colors greatly enhanced in tones and frequencies as in the green color for grass, trees and bushes. He described men dressed in apparel unlike the garments in today’s society. 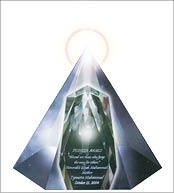 This Special Crystal Award is given to some of the pioneers of the Nation of Islam on October 15, 2004. This elegant crystal pillar reflects the image of The Most Honorable Elijah Muhammad emanating in several directions in a prism of Divine Light. They were like a type of uniform that I tried to imagine being worn by the actors in some kind of space odyssey such as Star Trek. He said that they appeared very focused, concentrating on their work assignment without conversation and they walked with a quick moving stride. He told us that this dream occurred twice within a year’s time. He was also shown a book which had guilded or illumined Arabic Letters of which he could only recognize the letter “Lam.” These dreams occurred in the month of September. Is it a coincidence that the Honorable Minister Louis Farrakhan had his Vision-like Experience on the Mother’s Wheel also in the month of September? What was it that the Most Honorable Elijah Muhammad was shown? Was it a glimpse into the future world where color and sound, and imagery are far advanced technologically from our own? 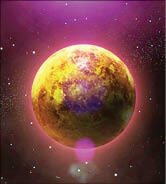 Was he shown the operation of the Mother’s Wheel and the type of civilization on board this man-made planet? Did he visit the City in the Sky in advance of his being taken in 1975? Is the Honorable Minister Louis Farrakhan walking in the same footsteps; and are we, as a people, community and nation being prepared to take this journey in the sky? 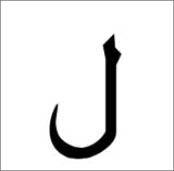 The Arabic letter lam, the only letter recognized by the Most Honorable Elijah Muhammad in his dream of the Book he was shown written in the Arabic language. 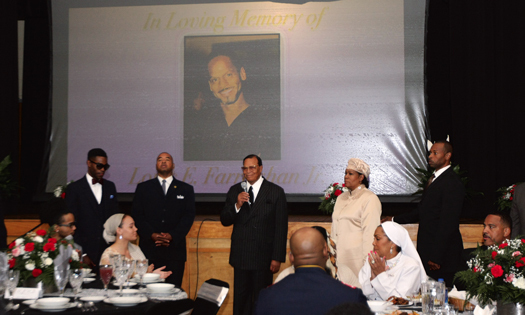 What has been prepared for us and how long will Minister Farrakhan be permitted to remain among us before he is taken? These are all questions upon which we may ponder as we revolve on this earthly sphere and plane of existence surrounded by a universe teeming with life. Upon another occasion, the Most Honorable Elijah Muhammad shared with a few of his laborers during the dinner hour in the Palace in 1974 about the appearance of Master Fard Muhammad and His promise to him that he would be allowed to see the people on Mars. 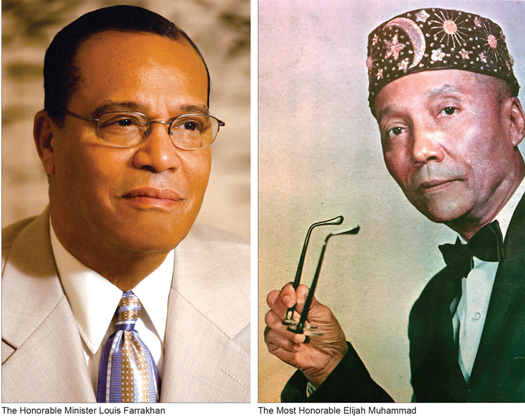 Many readers and members of the Believing Family may not readily accept this advanced kind of thinking pertaining to the Most Honorable Elijah Muhammad, and many may be perplexed about the intensity of the Minister Farrakhan’s current webcast teachings about the Reality of the Mother’s Wheel and how it works. In preparation for his departure and our witnessing of this Grand Event, which marks the finale of the time given to our open enemies and former slave masters to dominate and rule over our thinking and our minds, we are being called to a New World Order uniquely different from his world and way of life. Those who believe, lucky are they. Following the warning of the servants of God sounding their trumpets revealing the Word of God, another Mechanical Instrument has been prepared when sounded from that Great Wheel will vibrate so powerfully that glass will be shattered and buildings will come crashing down to the earth and total terror will reign.